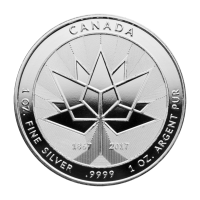 1盎司2017年加拿大150周年银圆 Buy this beautifully designed 9999 pure silver round celebrating Canada's 150th anniversary through our online store. 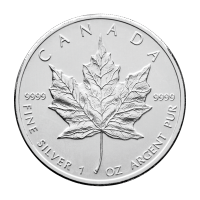 2017 represents the 150th anniversary of Canadian confederation, celebrated here in four nines pure silver. 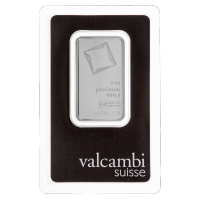 The round is produced exclusively with silver sourced from Western Canadian mines, leading to the tagline "Responsibly sourced Canadian silver". 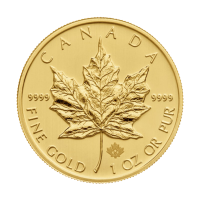 The obverse features the official Canada 150 stylized maple leaf logo. 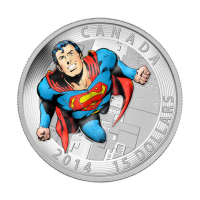 The reverse displays an image of a Canada goose in flight, reminiscent to the image of a flying goose that featured on the centennial edition silver dollar issued in 1967. In addition, the round features world beating security features for investor's protection. 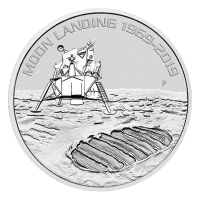 There are radial lines stamped into both sides, as well as micro engraved lettering around the inner rim on both sides of the coin that is visible under 10x magnification. 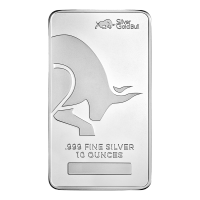 Add a dose of social responsibility to your silver holdings while celebrating Canada's 150th anniversary, buy today!